The Durham hotel and golf resort, Ramside Hall, last year opened a new championship golf course. A £15m development at Ramside includes a 47-room expansion of the hotel, some 34 executive residential homes, a new health club, gym, spa, restaurant and beauty salon. We recommended High Definition Serial Digital Interface (HD-SDI) cameras, which enable monitoring of the Golf Club from anywhere via laptop, tablet or smart phone. Network-based HD-SDI cameras can send and receive data via a computer network and the internet. Gary Trotter, pictured above, general manager at Hadrian, said: "After an in-depth consultation with the directors at Ramside Hall, we were delighted to be commissioned to create a bespoke CCTV system for this premium development. 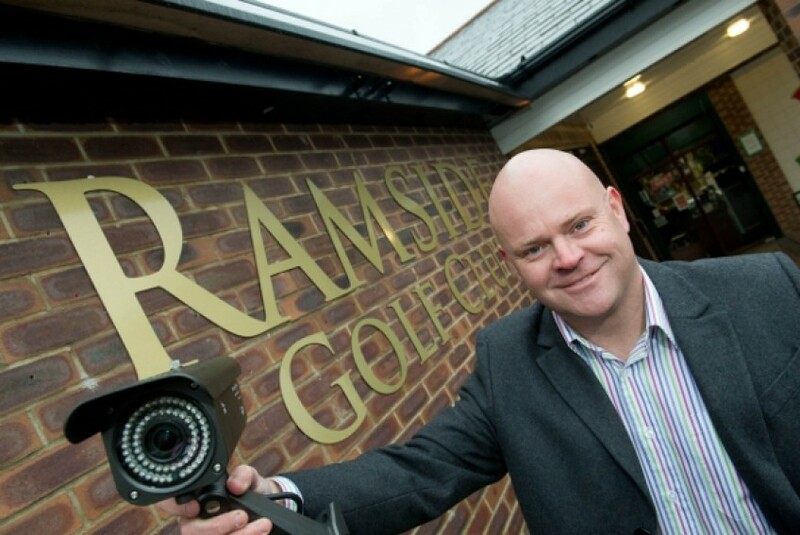 Ramside Hall identified that the welfare of its golf club members was of utmost importance, so a CCTV system was needed that would suit the busy nature of the club with members continually coming and going. We are pleased to have installed a system that has met their requirements, and will allow the directors to monitor and analyse high definition footage from wherever they are." And Helen Roseberry, director at Ramside Hall, said: “It is an exciting time at Ramside with extensive development work taking place, so we recognised the need to implement high quality security systems to protect our investment. "Our new CCTV system has far exceeded our expectations in terms of image quality and the ease of use – the fact we can see the crystal clear footage from our tablets when off-site or in another part of the complex is already proving extremely useful. Hadrian Technology has been a pleasure to work with. The team took the time to understand exactly what we needed, and we were impressed by not only the solution they provided but also by how smoothly the installation went. We hope to continue our relationship with the company as we progress with the development of the resort, and are already looking into introducing the same technology to our new spa complex."